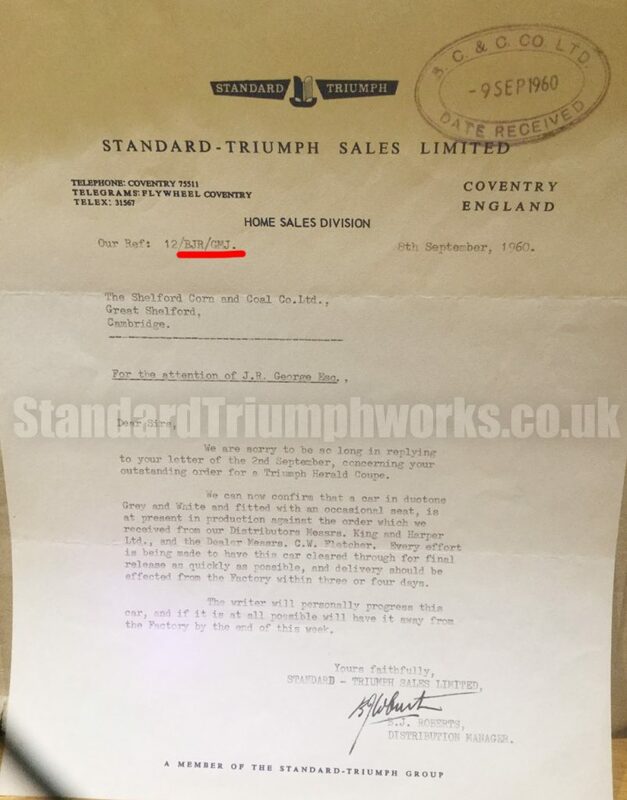 This letter, dated 8th September 1960 came from the Home Sales Division and B J Roberts, the Distribution Manager. Bernard J Roberts was certainly at ST in 1960 as this letter states, we also have him still there in 1966. Thanks to Jacqueline we can decipher another element to the letter via the code ref: BJR/GMJ – the first part stands for Bernard J Roberts and the second part stood for the initials of the secretary that typed the letter. Does anyone recognise those initials?